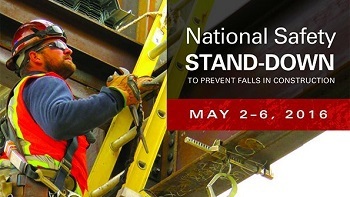 The third annual National Safety Stand-Down will take place from May 2 to 6, as employers across the country pause during the workday to engage workers in discussions, demonstrations, and training on how to recognize hazards and prevent falls. The event is part of OSHA’s effort to remind and educate construction employers and workers of the serious dangers of falls, which remain the leading cause of death in the industry. Please visit OSHA’s Stand-Down webpage to learn how to participate as an employer or find an event in your area. All attendees will be eligible to receive a certificate of participation. Berlin Builders faces $385,836 in federal penalties after OSHA inspectors found that workers continue to be exposed to dangerous falls at the company’s construction sites. Inspections conducted at company worksites in Delaware and Pennsylvania found violations that included failing to: provide fall protection, develop and implement a hazard communication program; and inspect the jobsite for fall and fire-related hazards. Berlin Builders has been inspected 23 times in the past 12 months, and was issued citations involving similar fall hazards. “Berlin Builders is a serial violator that callously refuses to take even the most basic steps to protect workers from falls and other serious hazards in construction," said Richard Mendelson, OSHA regional administrator in Philadelphia. Read the news release for more information. One worker died and two others were hospitalized after being overcome by a lack of oxygen while cleaning inside a rail tanker. This is the fourth time New Orleans-based employer Dedicated TCS has been cited for the same confined space violations. An OSHA investigation found that the employer failed to: test the atmosphere inside the tanker; require workers to attach a lifeline to their harnesses to allow for rescue; and complete a respiratory protection program. OSHA proposed fines of $226,310. Read the news release for more information. Hundreds of workers were evacuated from the Russell Stover Candies plant in Iola, Kan., after an air-conditioning unit pipe failed, causing the release of 22 pounds of anhydrous ammonia. None of the workers were injured. OSHA cited the company for 19 violations involving the agency’s process safety management standards when using highly hazardous chemicals. The company faces $193,600 in proposed fines and has been placed in the Severe Violator Enforcement Program. For more information, read the news release. OSHA has issued citations to Nakanishi Manufacturing Corp. for 20 safety and health violations following the severe injury of a worker in its Winterville, Ga., facility. The 33-year-old worker was operating a dust collector when an explosion occurred. Flames engulfed the man, causing third-degree burns to his upper body. The employee continues to recover from his injuries. "Nakanishi Manufacturing had four previous fires in the dust collection system in Winterville and management knew that the combustible dust hazard was not corrected, yet they continued to let workers operate the system," said William Fulcher, director of OSHA's Atlanta-East Area Office. "Out of sight, out of mind is not an acceptable strategy for fixing workplace hazards." For more information, see the news release. A 31-year-old worker with W. E. Soil Enhancement died from exposure to hydrogen sulfide gas while loading pig manure into trailers for use as fertilizer. OSHA cited the Vickery, Ohio, company for three serious safety violations, which included failing to: provide engineering controls and respiratory protection to protect workers from exposure to hydrogen sulfide gas; develop and train workers on a hazard communication program; and identify and evaluate respiratory hazards. According to the Bureau of Labor Statistics, agriculture is among the most dangerous occupations in America, with 143 deaths recorded in the industry in 2014. For mor information, see the news brief. OSHA is accepting nominations for six members to serve a two-year term on the Whistleblower Protection Advisory Committee. Nominations will be accepted from individuals representing management, labor and the public. The terms begin on Dec. 1, 2016. The deadline for submitting nominations is May 31, 2016. See the news release for submission details. From April 11-15, OSHA partnered with the Federal Highway Administration, the state of Georgia and local government organizations, as part of the Georgia Struck-by Alliance, to sponsor the annual Safety Stand-Down at Georgia road construction sites. 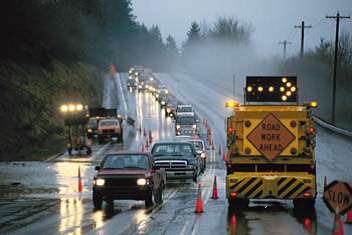 The events were held in conjunction with National Highway Work Zone Awareness Week. More workers are killed every year in motor vehicle crashes than any other cause. Distracted driving dramatically increases the risk of such crashes. Employers at construction sites participating in the stand-down stopped work for an hour on one designated day during the week to provide work zone safety training to road workers on the dangers of distracted drivers and injuries caused by passing vehicles, flying debris and other objects. Established in 2006, the Georgia Struck-by Alliance provides employers and workers with information, guidance, and access to training resources to help protect workers' health and safety. More than 80,000 workers have participated in the Alliance’s Safety Stand-Downs since they began in 2009. 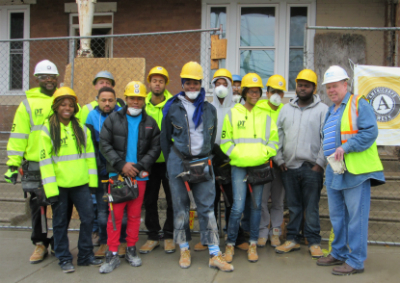 Through its partnership with YouthBuild Philadelphia, OSHA continues its commitment towards empowering young laborers and creating safer work environments. On April 12 Philadelphia-area OSHA compliance officers provided on-site training for students in the Building Trades program. They spoke to students about common workplace safety violations and encouraged students to be their own advocates. Despite chilling temperatures, the students were engaged and eager to demonstrate the hard work they had put into renovating rundown homes in northern Philadelphia. The National Safety Council designates April as Distracted Driving Awareness Month, a time to draw attention to the hazards of using cell phones while driving. As the NSC notes, phone use while driving, including texting and reading social media, has contributed to thousands of highway deaths. Employers can play a big role in protecting workers who drive for their job. The NSC encourages employers to download its employer cell phone policy toolkit and to read the Cummins cell phone policy case study. In addition, NSC is offering its online Defensive Driving Class at no charge from April 18 to 24. To enroll in the class, go to NSC’s online registration form and enter “distracted" as the access code. "OSHA reminds employers that they have a responsibility to protect their workers by prohibiting texting while driving. It is a violation of the OSH Act for employers to require workers to text while driving, create incentives that encourage or condone it, or structure work so that texting while driving is a practical necessity for workers to carry out their job. For more information, please see OSHA’s Distracted Driving brochure. OSHA’s Maritime Advisory Committee for Occupational Safety and Health will meet May 3-4, 2016, at the U.S. Department of Labor, 200 Constitution Ave., NW, Washington, DC. The full committee will meet from 9 a.m. to 1 p.m. May 3 for: an overview of MACOSH and the Federal Advisory Committee Act; a presentation on advisory committee ethics; a presentation from OSHA’s Office of Communications; an update on beryllium rulemaking; and reports from the Longshoring and Shipyard workgroups. The two workgroups will meet that afternoon from 2 to 5 p.m. and from 8 a.m. to 2 p.m. the following day. All meetings are open to the public. Details can be found in the Federal Register notice. OSHA’s Allentown Area Office has entered a strategic partnership to prevent injuries and fatalities in the warehousing, storage, distribution and transportation industries, with a focus on temporary workers. The five-year agreement, renewing a partnership begun in 2004, was signed by representatives from OSHA’s On-site Consultation Program, the Lehigh Career & Technical Institute, area employers, and temporary staffing agencies. Through its Strategic Partnership Program, OSHA collaborates with employers, workers, professional and trade associations, labor organizations and other stakeholders to establish goals, strategies and performance measures to improve worker safety and health. For ten years Essentra Specialty Tapes—a manufacturer of specialty plastic, fiber, foam, and packaging products located in Forest Park, Ill.—has been part of OSHA’s Safety and Health Achievment Recognition Program. It all began when the company contacted OSHA's On-site Consultation Program. Consultants identified hazards that included insufficient or missing machine guarding, problems with electrical systems, and inadequately written safety and health policies and procedures. Essentra responded by implementing several measures such as job hazard analyses, internal safety inspections, establishing a safety and health committee, and establishing health compliance training requirements. For more information, see the company’s online success story. OSHA's On-site Consultation Program provides free and confidential occupational safety and health advice to small and medium-sized businesses across the country. 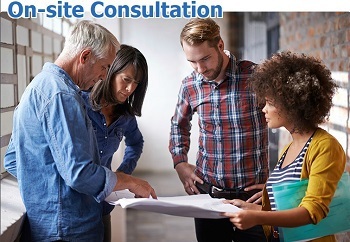 On-site Consultation services are separate from enforcement and do not result in penalties or citations. Visit OSHA's website to find the local On-site Consultation Program office in your state or territory. Minnesota OSHA has designated the Lou-Rich assembly plant in Hayward as one of the state’s Safety and Health Achievement Recognition Program worksites. This is the second time the company has earned SHARP status. Working with Minnesota OSHA consultants, company managers and workers developed a safety and health program that goes beyond basic compliance with OSHA standards to achieve long-term prevention of occupational injuries and illnesses.